The tournaments are open to all anglers provided they meet the requirements and honor all rules and regulations stated. b. All anglers must have a valid fishing license and follow all st    ate governed rules. c. All anglers must wear their PFD at ALL times. a. Entry fee must be paid PRIOR to the event. b. Entry fees will be collected at launch location. b. No electric or gas motors permitted. c. Accommodations will be made for special needs anglers on a case to case basis. d. All fish must be taken from your vessel. e. Only one paid entrant per vessel. a. No fish will be kept in ice chests, baskets, stringers, etc. d. All fish will be immediately released unharmed after photo has been taken. e. Each fish can only be submitted once. m. Angler must have all Coast Guard required safety equipment (light source, whistle or other audible signal device, Coast Guard approved chest-style life preserver [PFD]). a. Black bass (largemouth, smallmouth, spotted) must be 12” in length. b. Fish will be caught, measured, photographed, and released. c. Fish will be photographed using a smartphone or digital camera. a. Anglers must return to the launch point at the designated time. b. Anglers must turn in identifier or verbally check in with tournament director at designated time. a. Each angler will be given a unique identifier. b. Identifier must be visible in each photo. c. Fish will be measured to the nearest ¼”, rounding down. b. Photo must include the entire fish. c. Fish must be facing left. d. Lip of fish must be touching end of measuring device. e. Mouth must be CLOSED (1/4” deduction for cracked mouth, 1” deduction for no attempt). If the Hawg Trough can be seen between the lips, the mouth is cracked and will incur a ¼” deduction. f. Dorsal fin must be facing upward. i. Markings on the measuring device must be clear and legible to the ¼”. j. Photos must be taken directly from above, not at an angle. k. Assigned identifier must be visible. l. Photo must be taken by same angler who caught fish. b. Hawg Trough may be checked at any time. c. Hawg Troughs must be marked to the ¼”. f. If Hawg Trough cannot be read, measurement will be rounded down to nearest legible mark. a. In the event of a tie, the angler who submitted his/her fish first will be declared the winner. a. All rules are decided on by KAST and club tournament directors. d. Once prizes have been awarded, tournament results are declared final. a. Competitors participating in any KAST sanctioned event must obs-erve the applicable rules for the specific event in which they are participating and must conduct themselves at all times in a manner that reflects favorably on the sport of kayak bass fishing, KAST, its members, officers or representatives, tournaments or sponsors. 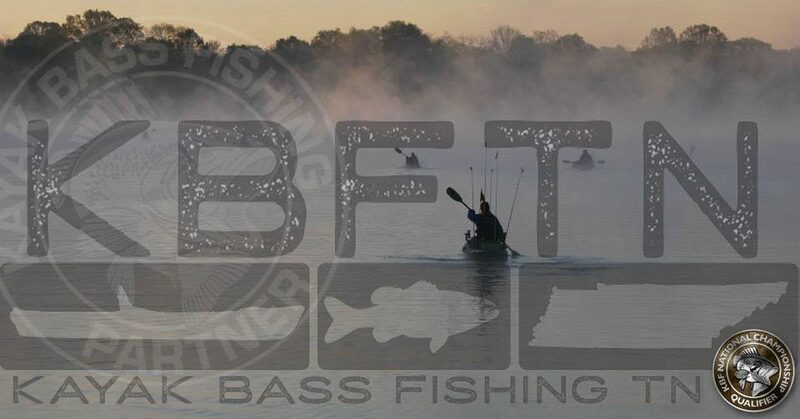 Competitors are expected to follow high standards of sportsmanship, courtesy, integrity, safety and conservation in support of the sport of kayak bass fishing, especially when in the vicinity of non-Competitors who may be on or beside eligible waters. Any Competitor who violates these principles or behaves in ways the reflect unfavorably upon KAST efforts to promote fisheries conservation, clean waters and courtesy, may forfeit tournament winnings, face suspension from future KAST sanctioned events, be permanently banned from competition, or any combination thereof deemed appropriate by KAST. b. It is an obligation of Competitors to refrain from comments in public forums and social media or to the news media that unreasonably attack or disparage the integrity of KAST tournaments, tournament officials, sponsors, fellow members, fellow Competitors or the KAST organization. Competitors are encouraged to express themselves and have the right to question the rules officials. Public comments that a Competitor knows, or should reasonably know, will harm the reputation of KAST or member clubs may result in disciplinary action. c. Publicly disputing any judgment decisions by KAST Tournament Directors or judges will result in participants receiving one warning followed by permanent disqualification for repeated offenses. Any public dispute of final rulings, ongoing determination by judges or judging panel is grounds for immediate disqualification from the current event and termination of any eligibility for future events, even if previously qualified. This is not in place to prevent any disputes; it is done to ensure that a fair and unbiased approach is used and the approved challenge and appeals processes are followed in determining the best possible outcome.